"The transformation of land and sky through industry and enterprise may be deliberate, or simply the unintended consequence of the human impact on a fragile environment." The beautifully detailed modern landscape paintings of Philip Govedare’s are like the surface of another planet viewed from high above. 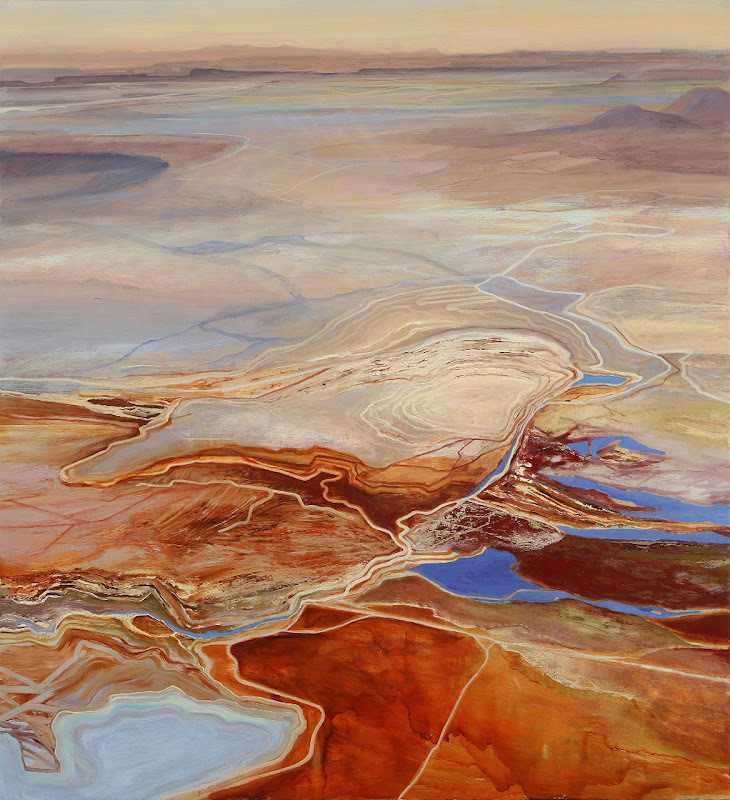 Like the aerial photographs of Emmet Gowin, David Maisel or Edward Burtynsky, they are a response to the landscape we inhabit with all its complexity and layered meanings.